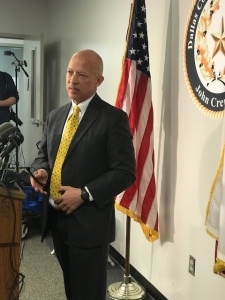 DALLAS (WBAP/KLIF) – Dallas County Criminal District Attorney John Creuzot announced Thursday sweeping reform policies that he said will have a positive impact on the criminal justice system. “The data-driven reform policies that I am implementing will help make our system more fair and just for everyone, without regard to race or financial standing in the community..” Creuzot said Friday. Creuzot said his initiatives include reducing mass incarceration and saving taxpayer’s money by using innovative approaches and alternatives rather than simply locking up people who have committed low-level offenses and are not a threat to the community. “The policies that I have embarked upon this year are a first and important step toward shifting priorities, treating people with fairness and dignity, while keeping our community safe,” Creuzot said. The changes were met with mixed emotions from local leaders. 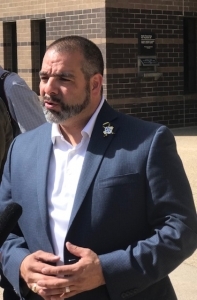 Mata said the District Attorney should have spoken with local Police Chief’s and had ongoing discussion before making changes. Mata has concerns about the revisions to criminal trespass and theft policies. “This could really hurt those mom and pop stores in Oak Cliff and South Dallas,” said Mata. Although African Americans and people of other races use marijuana at similar rates, in Dallas County African Americans are three times more likely to be prosecuted for misdemeanor marijuana possession than are people of other races. After arrest, African Americans are assessed money bond at a higher rate for marijuana possession, and are assessed higher bond amounts than other races. African Americans are more likely to be convicted of marijuana possession once charged and are more likely to serve a jail sentence. The District Attorney must take action to end that disparity. To that end, I have declined prosecution on misdemeanor possession of marijuana cases for first-time offenders whose offenses do not occur in a drug-free zone, involve the use or exhibition of a deadly weapon, or involve evidence of delivery. After the first offense, people will be offered a program that, if successfully completed, will keep their record clear. I am also in the process of dismissing all pending misdemeanor marijuana cases filed before I took office, according to the new policy stated above. 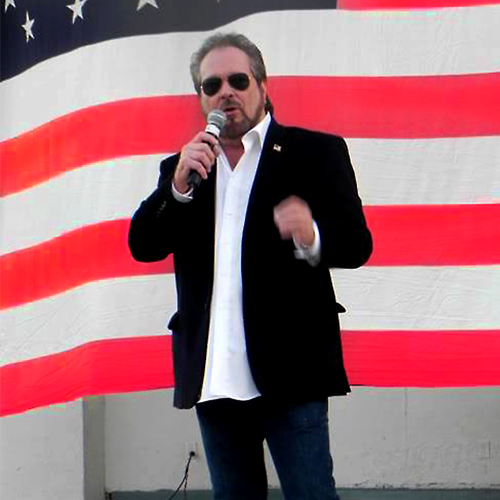 To date, I have dismissed over a thousand misdemeanor marijuana cases. Prosecution will be declined on State Jail Felony and 3rd Degree Felony Possession of Tetrahydrocannabinol (THC) cases for first time THC offenders whose offenses do not occur in a drug-free zone, involve the use or exhibition of a deadly weapon, or involve evidence of delivery. No person will be prosecuted in Dallas County for possessing less than .01 grams of drug “trace” evidence. Historically, when an individual is arrested for State Jail and Third Degree Felony drug cases they are taken to jail. The accused may sit in jail for an extended period of time awaiting the testing of the alleged contraband. My office is returning these cases until the laboratory report is completed. If, in fact, the substance is a controlled substance, we will be requesting that the District Clerk issue a summons instead of a warrant. Right now, our county jail is the largest mental health provider in the county. However, the jail is not a suitable place for the mentally ill and homeless — those most often charged with misdemeanor criminal trespass — whose only crime is not having a place to go. Around 90 percent of homeless individuals charged with trespass will receive an average jail sentence of 33 days. These prosecutions are an ineffective and inhumane approach to dealing with homelessness or mental illness, and yet since 2015, Dallas County has spent nearly $11 million just to incarcerate those charged with trespass, not including the costs and resources required to arrest and prosecute their cases. To that end, I have instructed my intake prosecutors to dismiss all misdemeanor criminal trespass cases that do not involve a residence or physical intrusion into property. All pending criminal trespass cases meeting these guidelines will be dismissed, and where appropriate will be referred for outpatient mental health services. I urge Dallas County and its municipalities to use the savings to provide affordable housing and mental health services to this vulnerable population. Prosecuting a person for driving while their license is suspended is often just prosecuting a person for being too poor to pay off their fines and fees. I have developed a diversion program that will result in charges being dismissed for defendants who clear their drivers’ licenses. For those people who have successfully completed our pre-trial diversion program, a conditional dismissal or memo agreement, we will now be proactively expunging the arrest instead of the previous policy of waiting two years for the statute of limitations to run. I have also instructed prosecutors not to ask for jail, state jail, or prison time for “technical” violations such as failing to pay fines or fees and other acts that do not threaten public safety. This county’s money bail system must be reformed. Our current system is uncoupled from physical safety and fairness, as people sit in jail not because they pose an identifiable danger to the community, but because they cannot pay their fee to go home. When low-income people are held in jail simply because they cannot afford a few hundred dollars, they lose their jobs, housing, stability, and cannot take care of their children: this makes our communities less safe. My own moral compass does not allow me to sit and wait for others to decide to act when I also have the power to do so. I am proposing an approach that makes public safety, not wealth, the determining factor in bail decisions. The policy articulated below ensures that those who pose no safety risk can return to their communities, while those who do are either kept in jail or released with conditions. Keeping safety, not wealth, at the centerpiece of policy is sensible and fair. Our system of justice cannot depend on whether individuals can afford to buy their freedom. subject to the below exceptions. believes by clear and convincing evidence that the accused will fail to appear and/or is a danger to the community or victim, then a risk assessment shall be requested to determine what, if any, conditions of release are appropriate to ensure return to court and community safety. The risk assessment shall be used to determine specific conditions that will aid return and protect community safety, not as a determinant of release. All other cases: The prosecutor’s recommendation is based on an assessment of risk. While a tool will be used, it is not dispositive, rather, it will be used as a guide for developing appropriate conditions of release. The prosecutor’s presumption should be that, unless individuals pose a serious safety risk or flight risk, release remains appropriate, but with the least restrictive conditions imposed to ensure community safety and return to court. Monetary conditions should never be requested by a prosecutor unless there has first been an ability to pay determination, and then the amount requested should be based on what a person can afford. High bonds should not be used as a form of preventive detention. Instead, people should only be preventively detained if they meet the statutory guidelines for preventive detention,3 and there is an articulated reason that the person poses a specific danger to the community.